Searching hashtags on Facebook, Twitter, Instagram and Pinterest simultaneously? 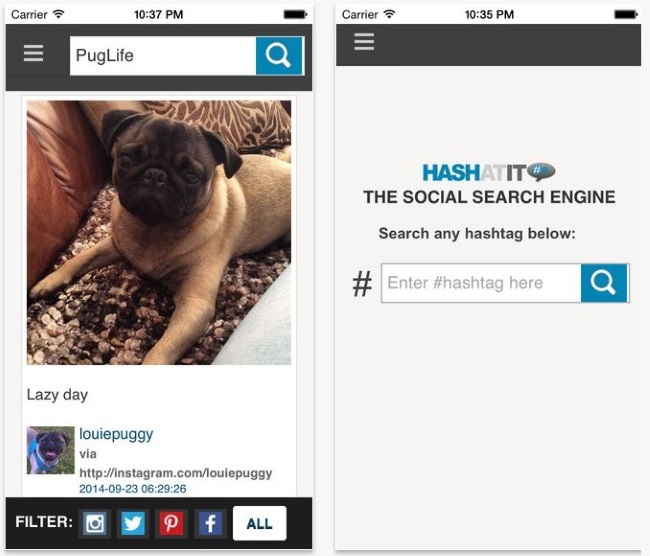 HashAtIt allows users of its iOS and Facebook applications (Android coming soon) to do just that. HashAtIt users can enter a single hashtag and collect relevant posts and status updates from the four social networks mentioned above, and the app also allows users to create and customize hashtag boards and embed those boards on their social network profiles, blogs and websites. Readers: How do you currently search for hashtags?